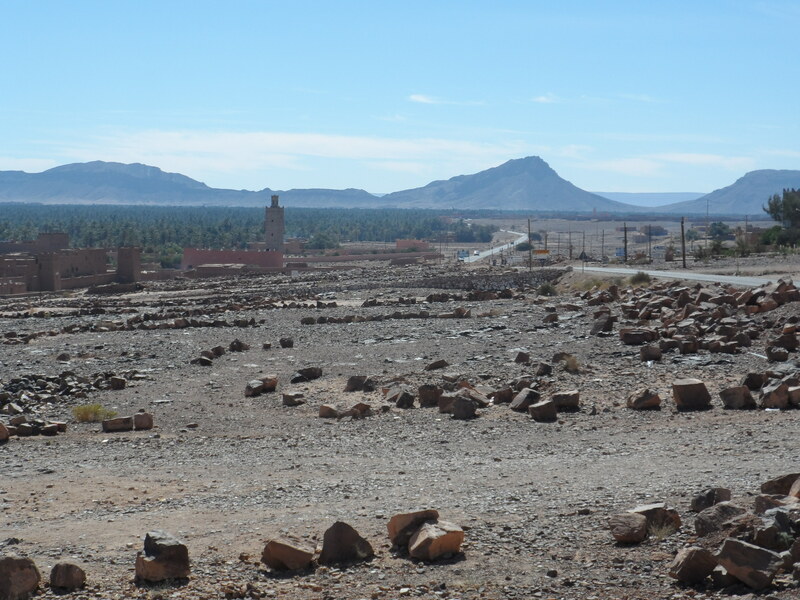 We rode our trusty camels out of the desert and headed to Zagora, the date capital of Morocco (dates as in the deliciously sweet fruit, not the activity). 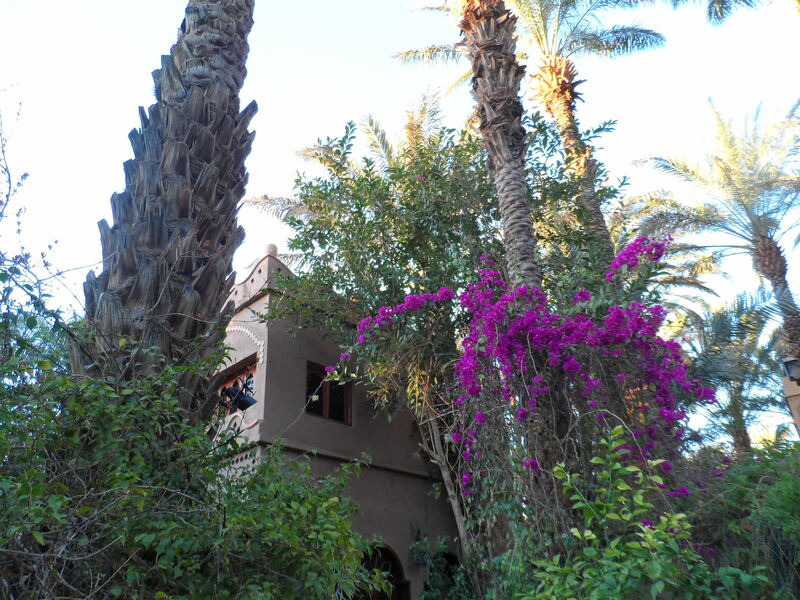 We didn’t see much of Zagora because our hotel, Riad Lamane, was such an oasis. This was our day to feel like real honeymooners. 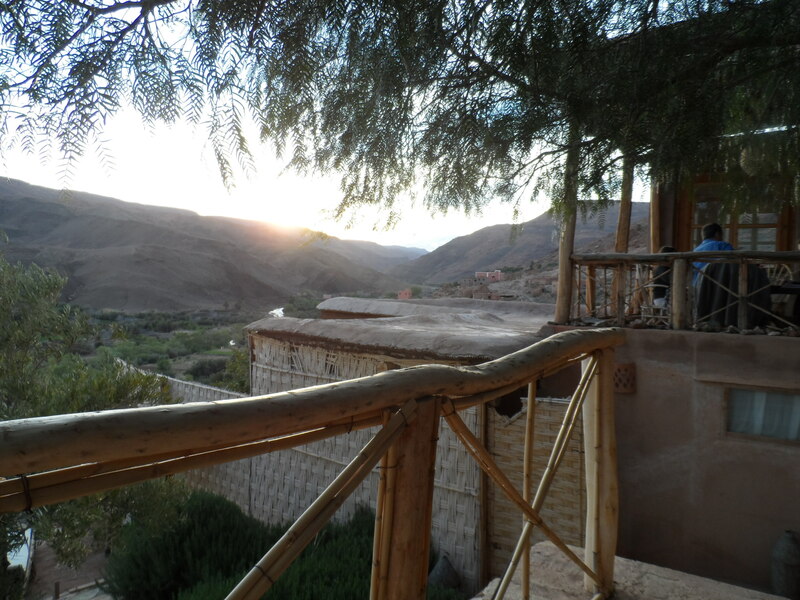 We lounged by the pool, drinking Casablanca beers, and then moved up to our private terrace to watch the sunset (that’s where my new header picture for this blog was taken). 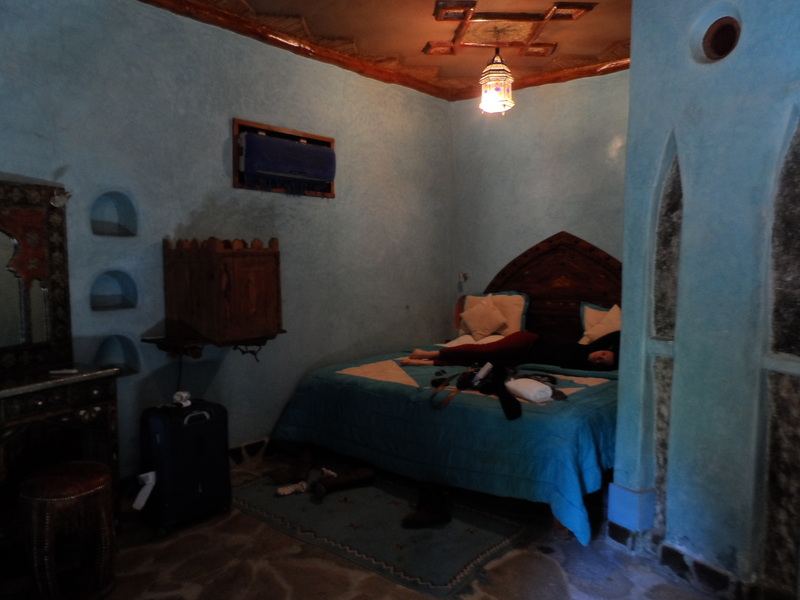 Most of our hotel rooms in Morocco were a rich blue color. It felt like we were in a jungle in the middle of the desert. Our private breakfast area/ nap space. 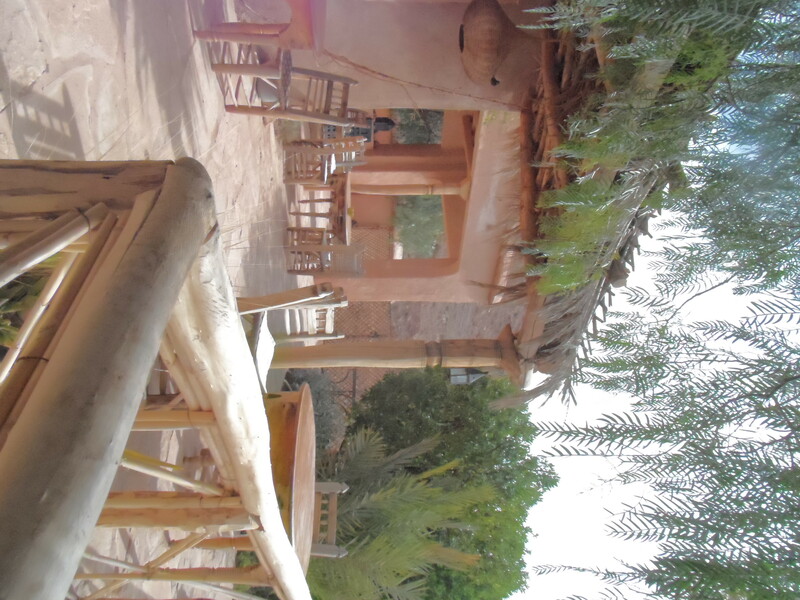 The next day we left for Ouarzazate, the Hollywood of Morocco. Before we could tour the studios we had to listen to a mandatory carpet sales pitch. My brother, who lived in Morocco for a summer, warned me not to accept tea from a carpet salesman. That’s advice that sounds ridiculous out of context, but in the moment it’s priceless. You end up feeling so guilty for drinking ten cents worth of tea that you actually consider going into massive debt for a rug you wouldn’t have even considered in the first place. They are master salesmen, making you think that a rug can represent everything you believe in, and if you don’t get it your trip to Morocco will be in vein. I have never said no so many times in my life. 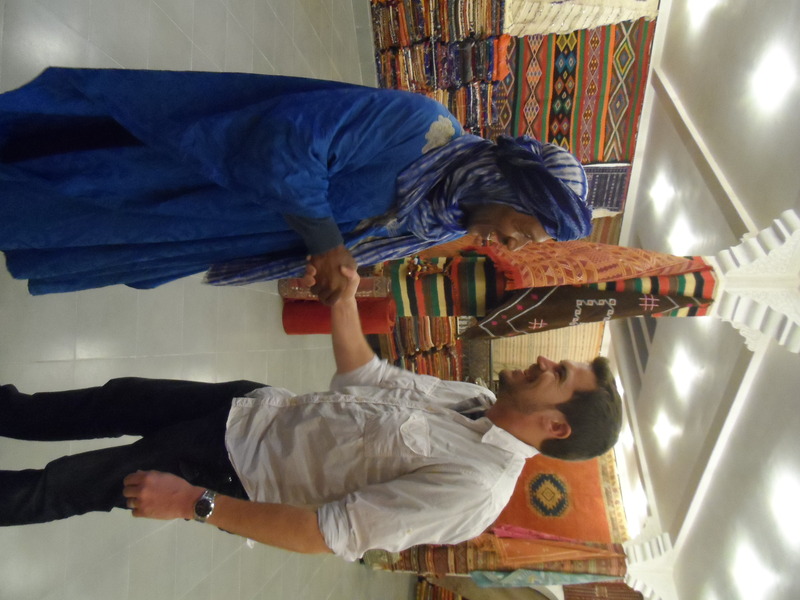 Mustafa, our rug salesman, was a lot friendlier when he thought he was going to sell us a $10,000 rug. After two hours of saying no to various rugs we got to tour the film studio. This is where Lawrence of Arabia, Salmon Fishing in the Yemen, Babel, Inception, The Last Temptation of Christ, and Kundun were filmed (to name a few). Most of the sets are still up so you get to feel like your traveling around the world. Fake Israel and fake Rome! 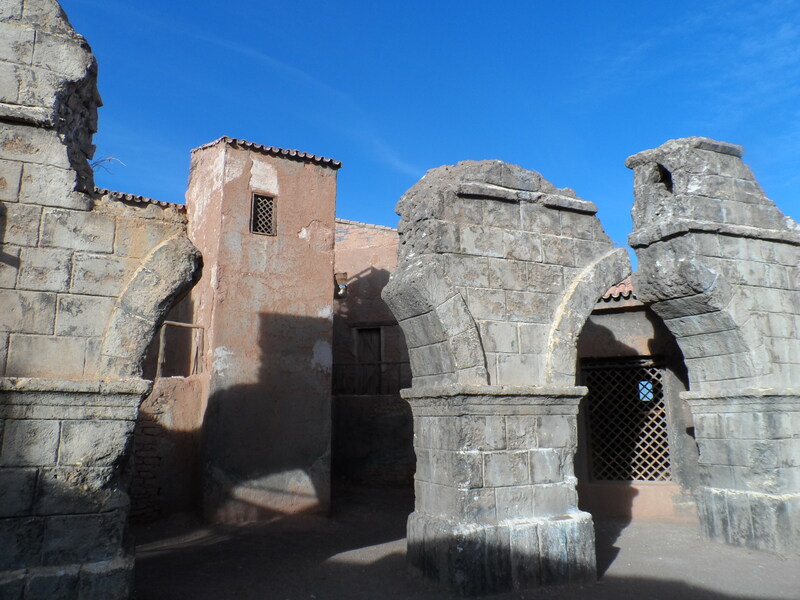 This set was used for a bunch of movies,. This was the other side of the studio. 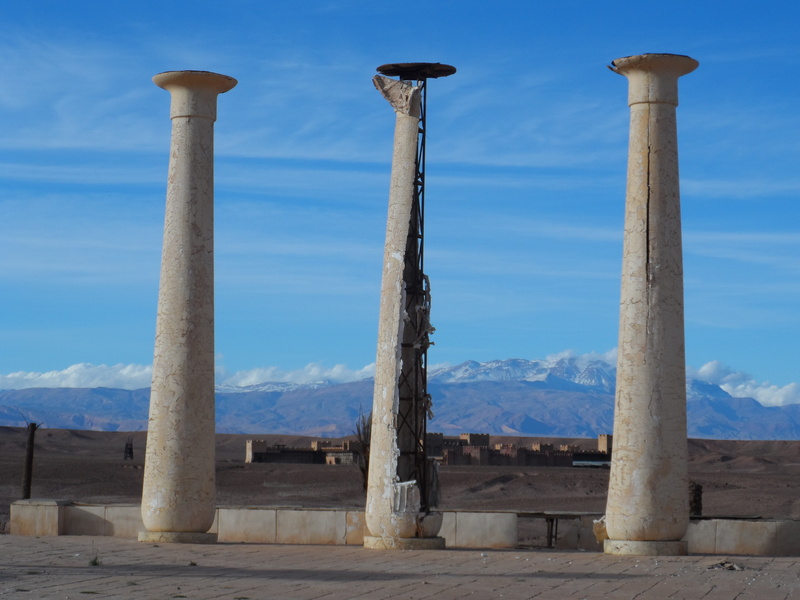 The Atlas mountains were actually used to represent Mt. Everest in one movie. 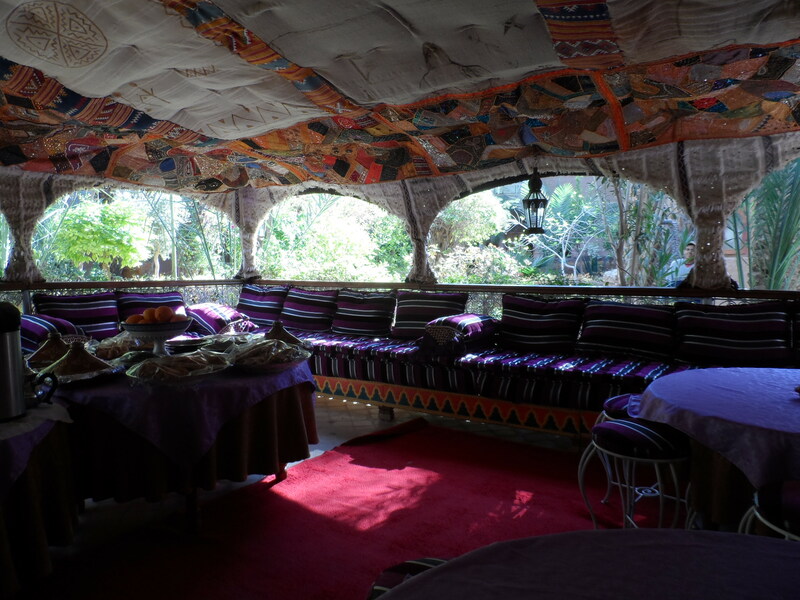 We ended our day in a stunning, peaceful sanctuary up in the mountains. BEAUTIFUL!!!!! 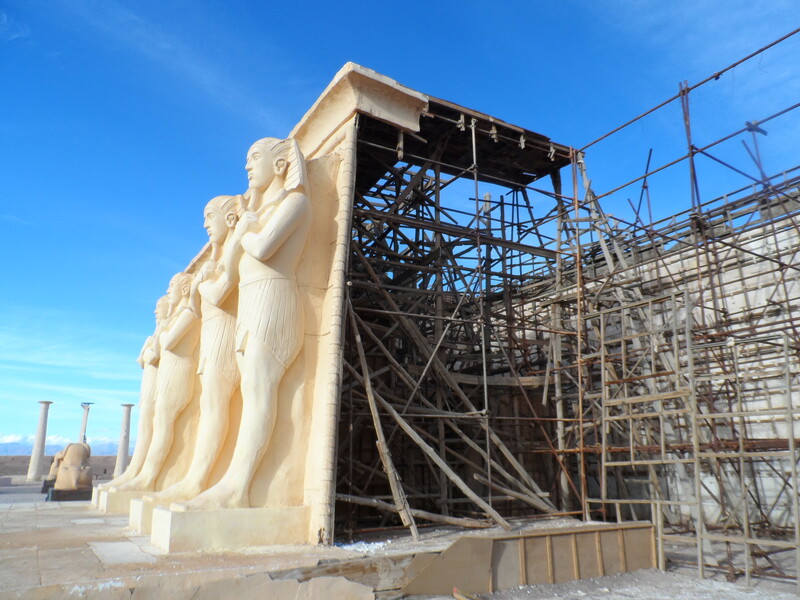 Love the movie sets, how fun that you got to “travel” to Greece and Rome and Israel and Nepal all in a single day. HA!!!!! Thank you (again and again and again) for sharing these photos and your experience. 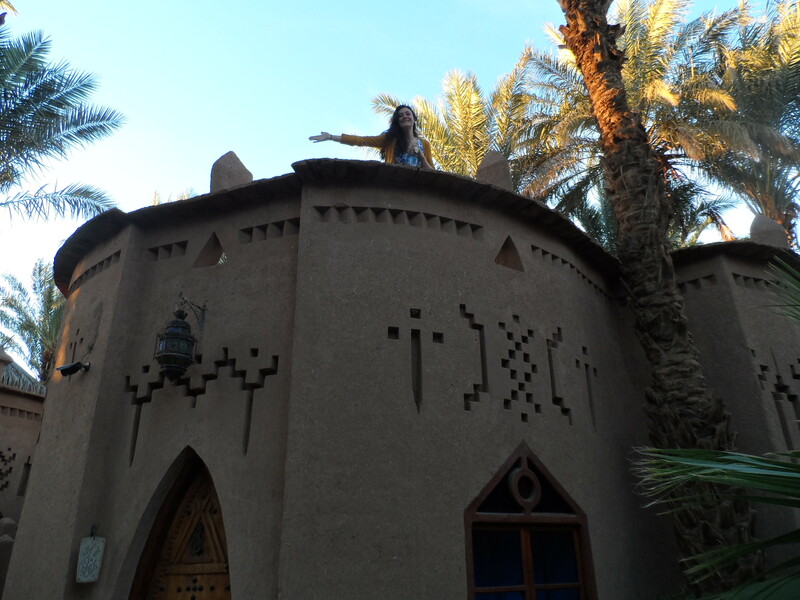 I’m ready to pack my bags to head to Morocco. The rug situation, eeek, not so much! After saying “no” a gabillion times, you need a recorder. HA! Love the rug salesman story. When hubby and I went to Egypt, I bought a scarab from the first salesman who approached us at the pyramids. Hubby looked at me like I was nuts, but for the rest of the day, I could pull it out of my pocket at every turn and say, “No thanks. Already got one.” New respect in his eyes. Gorgeous photos. I’m dying of jealousy.